← When Worlds Collide #78: Homicide by Pesticides: Can we escape? What happened next is documented in Dr Sinharaja Tammita-Delgoda’s 2008 book on CTC’s history, titled Tobacco, Agriculture and The Land (chapter XI). 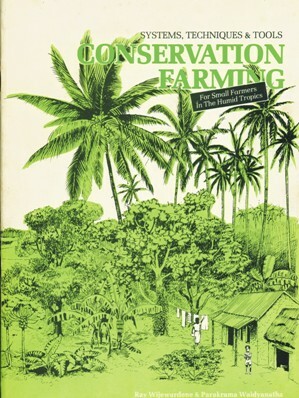 Convinced and alarmed by what he saw, Manning committed the company’s considerable resources to restoring green cover and soil fertility in selected upcountry areas. 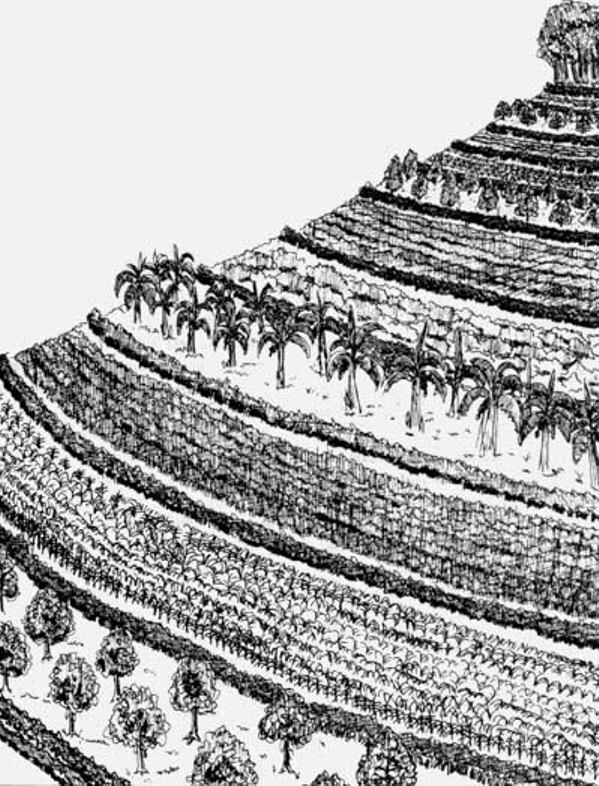 Under Ray’s guidance, CTC introduced a technique called Sloping Agricultural Land Technology (SALT), which prevents soil erosion and rejuvenates degraded lands. Originally developed in the southern Philippines in the 1970s, SALT involves planting fast-growing, nitrogen-fixing (leguminous) plants along contour lines on hillsides. These form double hedgerows, typically five metres apart. Between these, their branches are regularly lopped, spread and allowed to turn into leaf mulch. SALT benefits in several ways. The mulch enriches the soil with nitrogen and also retains moisture. The hedgerow roots prevent fertile topsoil from being washed or swept away. Crops can be grown between hedgerows with little or no external fertiliser. Trained in both agricultural and aeronautical engineering at Cambridge University, Ray spent most of the 1970s working for the UN Food and Agriculture Organisation (FAO) based Malaysia, and later with the International Institute of Tropical Agriculture (IITA) in Nigeria. During these assignments, and in many discussions with small farmers across Africa and Asia, he realized a fundamental requirement in tropical farming: never expose the soil to rain, flowing water or wind. It should always be covered by trees or foliage. Returning to Sri Lanka in the early 1980s, he advocated SALT as an effective method to protect the central hill country where soil erosion was rampant. Ray looked at the problem primarily as a threat to agricultural productivity, but he appreciated its environmental implications as well. “One millimeter of top soil lost is 13 tons of total soil loss per hectare. In some areas in Sri Lanka’s hill country, more than a centimetre of soil has been lost in a year, so the loss is often over 100 tons per hectare! Such erosion leads to a rapid loss of soil fertility, and can seriously affect the catchment of several key rivers that originate from the hill country,” Ray told me in a 1995 interview. The latter was shared by the British government, whose aid had just built the Victoria dam and hydropower plant under the accelerated Mahaweli River development programme. Silt coming down the hills could fill up new reservoirs. SALT could both nourish the soil and protect the land. But when Ray presented it to the Department of Agriculture (DoA), they were sceptical. “The country’s agricultural authorities have been ‘brainwashed’ totally by the ‘open field’ concepts of temperate farming…they wanted more time to ‘research’ the desirability of SALT before giving it their stamp of approval!” he recalled. Paradoxically, SALT was not entirely new: its concepts were similar to what the Department itself had recommended to farmers in the 1930s. These prudent landcare practices were later sidelined by Green Revolution’s fervour to adopt high-external-input farming methods. Luckily, Ray didn’t wait for the doubting babus. He started working first with tobacco, and then with tea companies to introduce SALT to Sri Lanka. As unpaid advisor to CTC, he guided tobacco out-growers how to adopt SALT to improve their rudimentary soil conservation practices. He recommended Gliricidia sepium to be grown on the contours. A Central American plant introduced to Ceylon in the 18th century, Gliricidia was locally known by various names such as Ginisiriya, Wetahiriya, Wetamara, Ladappa, Nanchi, Sevana, Makulatha and Albesia. It grew fast, and fixed nitrogen from the air, and was a good source of both mulch and fertiliser. 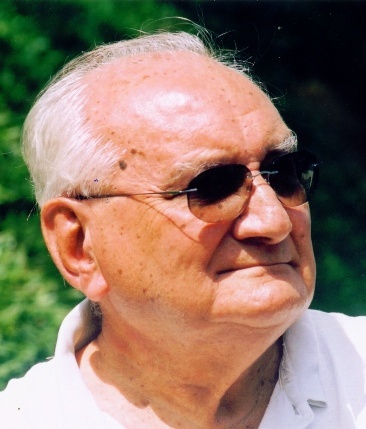 Always an innovator, he added perennial trees into the mix – as had been done in our rain-fed farming for centuries. CTC’s first SALT initiative started in 1989 in Dadayampola, a rural hamlet near Hanguranketa in the Uda-Dumbara region. Once a productive tea growing area, it had been degraded after misdirected land-reforms in the 1970s. The villagers now engaged in slash and burn (chena) cultivation. They were struggling with diminishing returns. Under the Janasaviya poverty alleviation programme, CTC leased 125 acres of state land and distributed it among 90 farmer families. The company also provided technical support, with Ray leading the outreach effort. 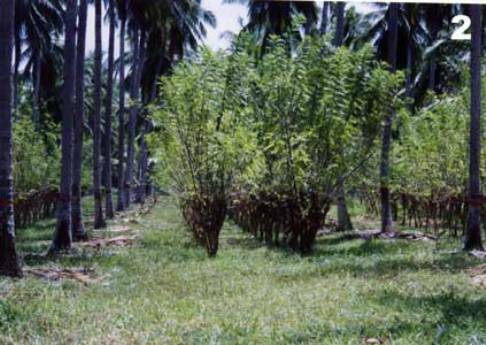 CTC propagated and distributed Gliricidia to farmers, and paid an incentive for every stick planted. Within three years, there was a noticeable build-up of the soil. Besides tobacco, farmers started growing coffee, pepper, bananas, maize and some vegetables. Their incomes soared. This transformation of once barren Dadayampola convinced other farmers: seeing was believing! All hill country tobacco farmers switched to SALT when CTC made it mandatory for outgrowers. During the 1990s, many tea plantations also adopted the same method. As Chairman of the Tea Research Board, Ray worked closely with this large scale, export-oriented industry to improve their landcare practices. Ray’s SALT-led soil conservation work won praise far and wide. Among them was the 1997 Worldaware Award for Sustainable Development from the UK. Indian tea planters also started practising SALT. Not everyone was impressed. Some local activists criticised Ray for partnering with tobacco. Once, a few such ‘environmentalists’ even booed Ray at a public event in Colombo. That was at the EnviroLanka 1992 national exhibition at BMICH, organised by the new Ministry of Environment, which saluted Ray’s contributions to soil conservation. Ray was unruffled. He bowed to his rowdy critics, smiled and walked away. The success of privately funded Dadayampola SALT effort drew policy makers’ attention. Despite this, the method wasn’t scaled up much, probably due to bureaucratic apathy. Ray kept returning to their pilot site to check on its remarkable transformation “with lush vegetation and obvious well being contrasting with the dry barrenness of the surrounding countryside”. On one such visit, Ray asked a farmer whether unusual rainfall could account for that change. The farmer replied: “Mahathmaya, may mulu yayatama dhang kisi idoreyak nehe!” (there is no sign of any drought anywhere in this area). SALT has been tried and proven in Sri Lanka for over two decades, but uptake has been slow. DoA must be still studying it while our hills are bleeding away. For insights, read my 1995 interview, republished in Groundviews.org in Aug 2010: Who Speaks for Small Farmers, Earthworms and Cow Dung? This entry was posted in Agriculture, Biodiversity, Business & Commerce, Ceylon, Communicating Development, Environment, Environmental management, Environmental policy, Green Economy, Innovation, Spirit of Enterprise, Sri Lanka, Sustainable Development and tagged Ceylon Tobacco Company (CTC), Dadayampola, Department of Agriculture, Dr Sinharaja Tammita-Delgoda, Gliricidia sepium, Green Revolution, IITA, Julian Manning, leguminous plants, Mahaweli River programme, Mahaweli river valley, Ministry of Environment, Ray Wijewardene, SALT, Sloping Agricultural Land Technology, Tea Research Board, UN-FAO, Victoria dam, Worldaware Award for Sustainable Development. Bookmark the permalink.